A coastal Italian breeze is wafting through Thompson Street in SoHo thanks to Sessanta—the new hotel restaurant inside SIXTY SoHo—opened by John McDonald and Steven Eckler of Bowery Meat Company, Lure Fishbar et al. For the 100-seat eatery, Martin Brudnizki Design Studioeschewed sea shells for plush banquettes and an abundance of wood paneling. 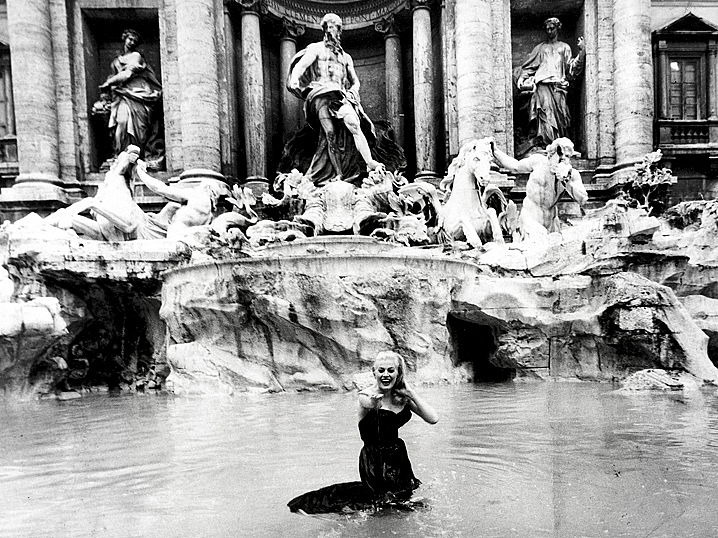 They're going for the "avant-garde aesthetic of Giò Ponti with the glamour and warmth of Federico Fellini;" BYO imaginary Trevi Fountain for an impromptu dip. The team tapped Chef Jordan Frosolone, who spent time on the line at Momofuku and Hearth, to head up the kitchen, which turns out dishes reminiscent of Sicily and other watery shores of Italy. A pile of Frito Misto ($12) is playfully served atop a "newspaper," with other "Cibo Siciliano di Strada" (Sicilian street food) like Arancina ($10) and Pane con la Lingua ($12, beef tongue) offered to start. From there it's crudos, salads and grains—like the Sorghum prepared "Risotto Style" ($15) with fresh peas—composed with an abundance of nuts, citrus fruits and olives, befitting the region of inspiration.